A familiar face is returning to Maccabi Tel Aviv with the Israeli club announcing the addition of Joe Alexander with a 1+1 contract deal. The 29-year old American power forward is expected to obtain an Israeli passport, so his signing with the team still won’t prevent the “Yellows” from acquiring an extra foreign player. 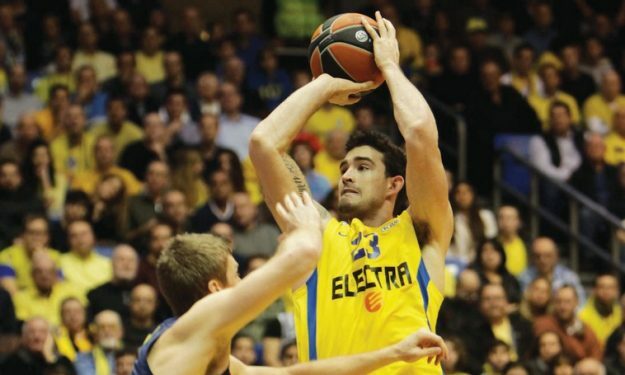 Alexander previously played for Maccabi in the 2014/2015 season, while last year he was a part of Dinamo Sassari. He averaged 10.9 points and 4.9 rebounds per game in Euroleague along with 11.7 points plus 3.8 rebounds in Eurocup.